The NCLEX: the ultimate goal for every nursing student—and, the source of constant anxiety, stress, and sleepless nights. Nursing school exams are supposedly modeled after it, giving us multiple-choice questions where there are always two good answers, and we “have to choose the better of the two.” We are in a constant state of studying and memorizing hundreds of facts at a time, trying to retain as much information as we can for the time when we will eventually take “the big one,” the NCLEX. As a former student and current registered nurse, I can tell you that, with plenty of preparation and planning, you too can pass the NCLEX as I did. My school offered an accelerated BSN program that was 22 months long. Each class lasted about 4-8 weeks depending on whether there was a clinical component. We had an exam every other week, and our program required that you meet a 76% benchmark for all of your tests to stay in the program. While I hated studying for hours on end day after day for those two years, it did teach me how to study smarter. My notes focused on “the big picture” for what we were learning, such as body systems or major nursing concepts, then I re-read and focused on what particular information stood out about that disease or medication, etc. Our program had incorporated ATI into it, so we had this learning tool that taught us content throughout the program. If your school does not use it, I highly suggest using something like this to help you with practice questions, then read the rationales for each question as to why the answer is this one and not the others. When my program was completed, there was about a 2-3 month lag time between when our conferral date was and when I should have gotten my Authorization To Test for the NCLEX, or ATT. In that time, I made myself keep studying; I never took a break because I knew that I would have a hard time remembering things for when I would sit for the NCLEX. I am someone that needs constant exposure to material for it to be fresh instead of cramming beforehand. The NCLEX prep tool that my mentor had suggested, and the one I used for 2 months prior to the NCLEX, was UWorld. There are various NCLEX-RN packages to choose from, ranging from 60 days for $139 up to 730 days for $299. I purchased the 90-day $159 package, which included access to the 2,000-plus practice questions, as well as two 75-question self-assessments that gauged my readiness for the NCLEX. Since I learned mainly content for nursing school using ATI while I was in the program, I felt that UWorld was the only tool I needed to help me with test-taking strategies. It’s impossible to know everything there is to know in the nursing field, but if you have already been exposed to the major concepts during school, all you need is to know how to apply what you’ve learned in practice questions. What I liked about UWorld was that you can create quizzes for yourself, up to 75 questions at a time, and choose from a variety of subjects and systems. I was averaging at the 68th percentile, and the average for users was about 48th percentile. I loved how, after I answered each question, it would show me the percentage of people who got that question correct—it helped me to keep track of what areas I needed to focus on when I was studying. I would take plenty of time to read the question, sometimes more than once to really grasp what the question was asking, and I did a process of elimination to narrow it down to at least two answers. I always applied the various prioritization tools, such as ABCs, “life over limb,” acute vs chronic, systemic vs local, etc. Most of the time, questions deal with what is the priority. I tried to always go with my gut and not change my answer, since I knew that with the NCLEX you cannot go back and change any answers. The questions sometimes give you clues, such as what the medication is for, or how the disease process works, which was nice for me to stop stressing out about knowing all the content I could. I did at least 75 questions a day with a mixture of different subjects, sitting down and finishing the entire block at once with as little interruption to mimic the NCLEX, and felt that this was the best way to prepare. I kept a notebook at my side when I studied and took practice tests and kept a running list of the things that I knew I was struggling with. I studied for two and a half months before I finally took my NCLEX. The day before I took my exam, I didn’t do anymore practice questions. I had completed about 80% of the QBank on UWorld, and did the two self assessments the week prior to my NCLEX date. Again, it showed I was in the 68th percentile, with a “Very High” chance of passing the NCLEX. When I was in a nursing school, my ATI comprehensive exam said I was 97% likely to pass my NCLEX on the first try as well. The night before I took my NCLEX, I went through every single note I had set aside for review, roughly a few hundred pages. I am a visual learner, so I made sure I at least looked at the material I struggled with one more time to make sure it was fresh for the next day. Once I finished that, I made sure I had a healthy dinner and went to bed early, since I knew I wanted to get to the test center at least one hour beforehand (when you register for the NCLEX, they say to be there at least 30 minutes before). The morning of, I brought with me only my ID, phone, keys, and some healthy snacks and a water to bring with me (our test center had a locker where I could put my stuff). I ate a healthy breakfast and drank plenty of water beforehand, and used the restroom just before going into the test center so that I didn’t need to take any breaks. My exam shut off at 75 questions, so my test took just over an hour to complete. The single most important thing I told myself over and over again for months on end was: “You know this; just trust yourself.” Anxiety is the greatest threat to thinking clearly, so if you were able to pass nursing school, you already have all the tools you need to do well. Just keep your anxiety level to a minimum and you will do just fine! It’s fair to say I am a straight-A student; haven’t always been in high school or my earlier college years, but now that I’ve chosen an actual career and have a family to support, I am definitely working hard to earn good grades. From the beginning of nursing school, I decided to read every assigned chapter and spend lots of time and energy gaining as much information as I could. Being in an accelerated program, with each class lasting from 1 to 2 months, time management was of the utmost importance. I would spend nights studying, since my days were filled with classes, my full-time job, and taking care of my three kids. I would say I was doing everything right as far as being a nursing student was concerned. Then hit Med Surg I & II – easily the hardest four months of my life. I was not prepared for how intense of a class this would be, both in lecture and clinical. For the first time in nursing school, I straight up failed a midterm exam. I was embarrassed, ashamed, flabbergasted – I couldn’t understand how my study habits that had carried me thus far, some seven months or so, had gotten me A after A in classes, tests and assignments, then suddenly I had the lowest score I’ve ever seen with my name on it. At our school we have what are called “LSPs,” or Learning Support Programs, which require that we maintain at least a 76% percent on all tests and quizzes. When I first heard about this remediation program, I haughtily told myself, “I will never be on a LSP. In fact, I’ll make it a personal goal to get through nursing school without a single LSP.” Well, I must have either jinxed myself or was simply never prepared for what Med Surg would be like until that midterm in the first Med Surg class. It was a complete eye-opener, and it humbled me, that no matter what kind of student you are, there will be struggles and obstacles that will make or break you. I certainly had my breaking points over the four months of Med Surg. I spent more hours studying away from home, sometimes more than 6 hours even after class going to Barnes & Noble or Starbucks. I found comfort in my friends and mentors who knew the struggle I was facing and could relate to my inner turmoil. If the way you’ve studied in the past doesn’t seem to be working, be willing to ask others their study habits and try to incorporate some new ideas into your routine. Don’t try to read everything, like I had before, but rather find ways to absorb the content in a way that makes sense to you. Watch more videos on topics you don’t quite get and hopefully they have visuals to help if you’re that kind of learner. Find “cheatsheets” online from nursing-related websites to help you memorize better. Don’t highlight everything even though everything seems important (trust me, someone called my textbook a “coloring book for adults”). Find questions from NCLEX-prep books or online to help test you on the content; read the rationales whether you got it wrong, know the answer or guessed and still got it right. It’s always best to know the “why” behind every answer, and I have found this to be most helpful in trying to approach NCLEX-style questions on tests. 2. Use this experience to grow. Re-evaluate your study and test-taking abilities. Meet with your professors during their office hours. Don’t be afraid to ask more questions in class and clarify something during lecture. Don’t try to wear yourself out more from failing, but utilize your time and energy more efficiently. Most of all, get plenty of sleep; I thought that burning myself out with late-night readings and study sessions would help me but it only hurt me in the long run. I learned the value of sleep and how we remember information better when we get a long night’s sleep after studying. Give yourself a daily To Do list and stick with it, but make your goals manageable so as not to overwhelm yourself. Most of the classes in nursing school, like Med Surg, will cover a lot of material every week, so try focusing on one topic at a time instead of a bunch so you can better retain the information. 3. Everyone struggles in nursing school. Because I failed one test, I felt like a failure. But, that isn’t true. Because nursing school has a wide range of topics that it focuses on, from theory and leadership to pharmacology and specialty areas, we are all bound to get to a subject that challenges us. While I found pharmacology and obstetrics to be fairly easy, others did not; same with Med Surg being my weak spot whereas others found it to be a breeze. 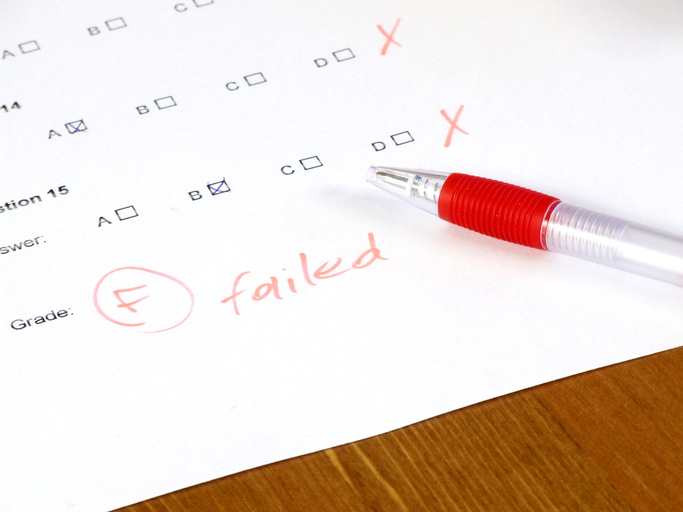 Just because you fail one test doesn’t make you a failure or less than your peers; take this opportunity to not be discouraged but rather to push yourself more and test your abilities of what you can do. Two of my favorite teachers I’ve had in nursing school have shared their stories of struggling when they were in school and how they have retaken classes only to come out stronger in the end because of it. Nursing is my newest passion; everything I do revolves around my life’s aspiration to become a registered nurse. This was not always the case as I once pursued a bachelor’s degree in English and Literature and spent years working for a regional newspaper until a sudden life change sparked an interest in the nursing profession. The years I have under my belt working for a community news publication has taught me a great deal about the power and impact of networking. I’ve learned that, in almost any career path you choose, it’s all about who you know. Making connections and establishing yourself as a credible individual in any field is an essential element to becoming successful. My piece of advice for nursing students: Don’t wait to graduate–network now and network often. Facebook – it’s not just for social networking; it can aid you in your pursuit for job leads and potential employment opportunities. To begin searching for groups and pages, simply type “nursing” in the search bar, and click on the “Pages” tab. This will result in countless groups and pages by businesses and nonprofits, as well as community groups. “Like” as many of the groups as possible so that your feed is full of news and postings that are of interest to you. If the group is closed, don’t be discouraged; I’ve never been denied a request to join any private page before. Many groups and pages have a list of related pages on the lower left panel under the heading “People Also Like” or “Liked by This Page.” It would be in your best interest to “Like” or subscribe to as many nursing-related topical pages as possible to be informed and up-to-date on the latest news in the nursing world. You can also get great tips about interview opportunities, such as on the RNInterview Tools group page. I have found myself engaging in conversations with experienced RNs and nursing students alike who are all willing and able to share their experiences and advice on becoming successful nurses. This information is priceless and readily available online. LinkedIn – the professional’s choice social media platform. As someone with an All-Star profile strength status and a considerable list of connections at 3,100+ and counting, I have to say that my experience with LinkedIn has been fairly rewarding. I’ve communicated with thousands of individuals I otherwise never would have met in person. I’ve created professional relationships with people from all walks of life and from a wide variety of industries. I’m also able to follow certain companies and get the latest scoops on job opportunities or company announcements. Organizations – join nursing student associations. I’m fortunate that my school has a very active nursing student association that encourages students to participate as early as orientation. Membership benefits include in a mentorship program, academic credit for participation, community service opportunities, workshops, and more. If your campus doesn’t have a nursing student association for you, there are state and national ones as well. At school – there’s nothing better than meeting others face-to-face and starting an authentic relationship with potential employers. I have found that many, if not all, of my professors are full-time employees at major hospitals in the region. Ask individuals on campus who are faculty and/or staff that you come into contact with if you could keep their information as potential referrals. We are in the industry of caring and, in my experience, have had great luck approaching others on this subject. Some students are also employees at local hospitals and health care organizations that can keep their eyes and ears open for job opportunities. These are just a few examples of great networking opportunities available at your fingertips while you’re in nursing school. Don’t wait until you’ve graduated to start making connections; establish professional relationships now to help you stand out later. So you’ve made it to nursing school. Congratulations! You’ve just voluntarily signed up for months of sleepless nights, constant reading, ambiguous tests, and long clinical hours. As daunting as the idea of nursing school is, there are plenty of resources and tools available to help you succeed in your education. Among them is my personal favorite: the one and only Google Drive. With the bombardment of information you’ll be receiving not only from your classes, labs, and textbooks, but online as well, staying organized is the key to success. Simply create a free Google account to access 15 GB of free storage online. As nursing students; we should all be excited when we hear the word “free.” Also, you can access the Drive anywhere from your laptop, mobile phone, or tablet; just download the Google Drive app for iPhone or Android devices. With Google Drive, you are able to create documents and folders within folders; share them with other users and allow sharing/editing; easily label and organize folders (who doesn’t love to color-code? ); and transfer files from your computer desktop to Google Drive by simply dragging and dropping files into the window. What we learn in nursing school isn’t just for obtaining our degrees; we will be learning vital information that we can store on the Drive to access in the future. Whether you’re an expert organizer or a novice in need of organizational direction, Google Drive is ideal for each of you and everyone else in between. And, if it doesn’t seem like you’re kind of thing, the only price you’ll have paid was the time spent creating a Google account.